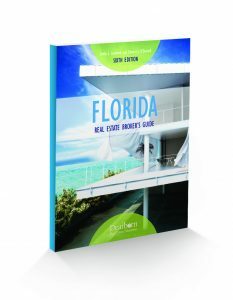 Approved by the state of Florida, this text is essential for all broker students. The guide includes all necessary topics for the broker exam, complete with end-of-unit questions and a practice final exam. Updated to reflect the most recent legislation changes, this guide includes practice questions to prepare students for the new proficiency state exam requirements. Also available online, the guide is designed to meet the 72-hour education requirement for broker candidates. Instructor Resources include an instructor manual and additional exams.